FourSquare is a popular geo location based, mobile marketing app used by over 15 million people worldwide. “Geo location” means it uses the GPS capabilities in your smartphone, Ipad or tablet device to identify your current location. Membership is free and the app is free from the Apple ITunes store. With Foursquare, you can keep up with your friends, find new places to visit and claim discounts at your favorite businesses. The company was founded by a couple of New York City entrepreneurs in 2007 and launched in 2009. How often are people using FourSquare? According to FourSquare figures as of January, 2012. Members use their smartphones or tablet to “checkin” when they visit a location. The person who checks in the most often earns the title of “Mayor” for the venue. Some businesses offer specials for newbies or multiple visits. Checkins may be posted on members Facebook and or Twitter accounts to share with friends. How can my business benefit from FourSquare? Get statistics on those who checkin to your business to make better business decisions. Offer special offers to prospects and gain new customers. Encourage loyalty with bonuses for repeat checkins. Reward your best customer with a Mayor special. 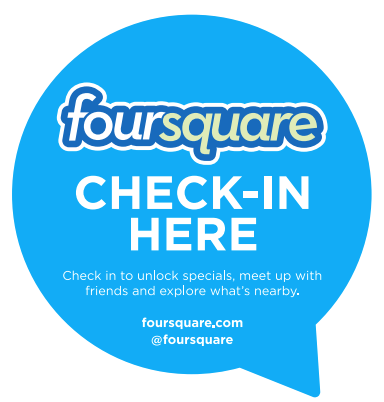 Need help getting your business set up on FourSquare? Give us a call at our 24 hour voice mail 414-604.6635.